This workbook will teach you how to pass the Paramedic interview. Written by an expert in the field of paramedic recruitment who has actually passed the selection process himself. 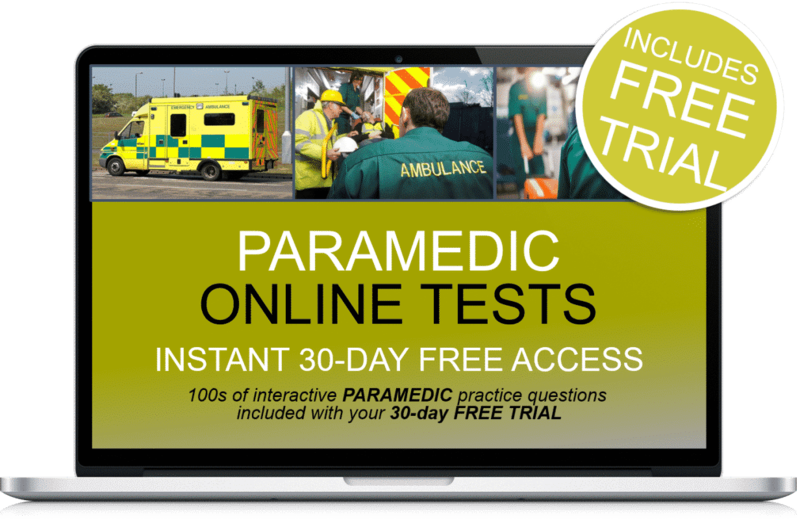 We will provide you with actual paramedic interview questions and sample responses. The type of interview questions you will be asked by the panel will very much depend on the service or NHS trust you are applying to join. 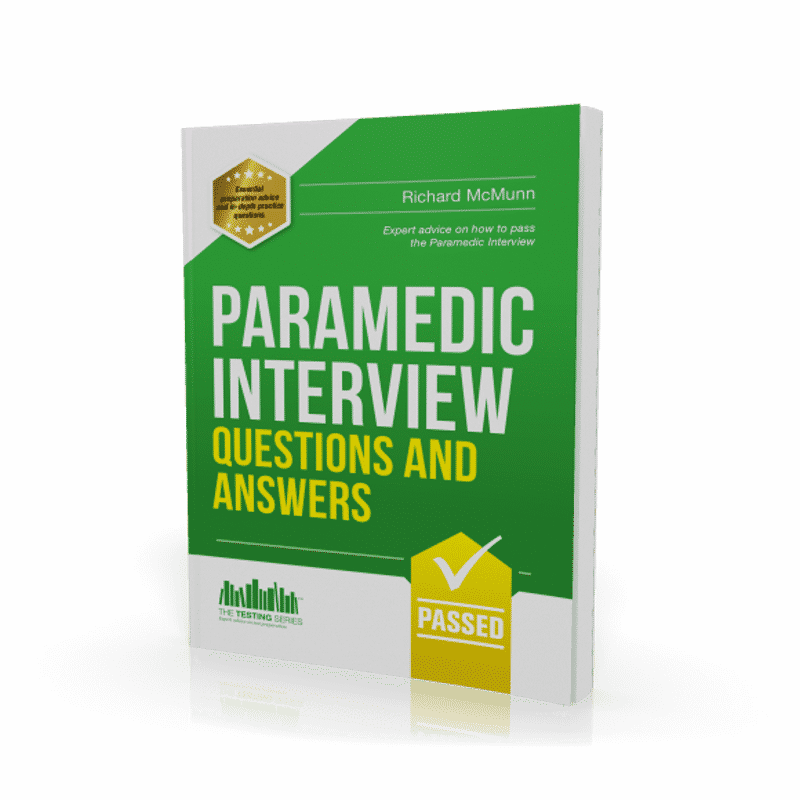 This workbook will teach you how to pass the Paramedic interview. What the training involves in order to successfully qualify in the role. The interview will normally be carried out by two people, depending on the service you are applying to join. For example, some Ambulance Services will use a human resources officer and a duty station officer to carry out the interview, which will last up to one hour in duration. The NHS trust creates the job description for a specific reason – it is basically the ‘blue-print’ for the job of a paramedic. Before they take you on in the role they will want to hear evidence of where you have already carried out similar tasks in a previous role. If you have already carried similar tasks in a previous role then you are far more likely to succeed in the role of a paramedic. 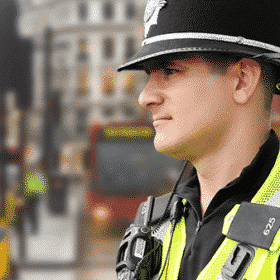 Let’s now take a look at some elements of the Paramedic job description and provide you with sample interview questions taken from each ‘typical work activity’ bullet point. 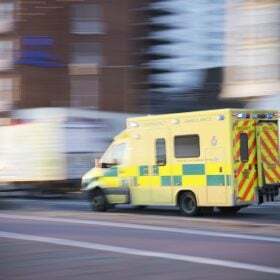 Responding to 999 calls for medical assistance at accidents, emergencies and other related incidents, usually in an ambulance with an ambulance technician to assist. Q. Provide details of where you have remained calm in a pressurised situation. Q. Provide details of where you have taken the initiative to take action in a difficult and pressurised situation. Q. 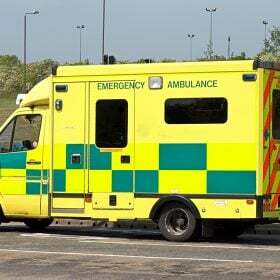 What skills do you think are required when driving to an emergency incident in an Ambulance? Q. What considerations would you give when driving to an emergency incident in an Ambulance during wet and icy conditions? Assessing the condition of patients who are injured or taken ill suddenly. Q. How would you change your approach when treating and assessing a child during an emergency incident? Q. What would you consider before treating a casualty who you suspected was drunk or under the influence of drugs? To begin with, it is important to explain that, before you attend the interview, you understand how you will be assessed by the panel. In this type of role you will be assessed against the type of evidence you supply in response to the questions being asked. For example, during the paramedic interview you are likely to be asked to provide an example of where you remained calm whilst working in a difficult and pressurised situation. Q. Please provide an example of where you remained calm whilst working in a difficult and pressurised situation. The reason why the above response would not attract high marks is because it tells the panel what they would do in the situation given, as opposed to explaining what they have already done in a previous similar situation. It is crucial that you provide EVIDENCE of a situation you have been in before. “I was in a situation recently that required me to work carefully and methodically whilst under pressure. Whilst driving along the road I came across a car accident that involved two vehicles. The emergency services were not yet on the scene. I remained calm and parked my car away from the incident in a safe manner. I then walked towards the scene of the accident whilst on the phone to the emergency services. I informed them of the exact location of the incident and gave them as much detail as possible. I then assessed the scene and noticed that one person was stuck inside the car. They appeared to have serious injuries. I then decided to reach into the car from the verge side in order to stabilize the casualty’s head and neck, so as to avoid any further injury to them whilst waiting for the emergency services to arrive. I have limited knowledge of first aid but I understand that it would be dangerous to start rocking the car or climbing inside the vehicle. I also made sure that the casualty was breathing and conscious. The above example would attract higher marks because it provides the panel with EVIDENCE of where the candidate has already performed in a situation similar to the questions being asked. Q. Please provide an example of where you have followed rules and procedures carefully? Q. Can you give us an example of a situation you have been involved in that involved a requirement to work effectively as part of a team? Q. Please explain a situation when you have remained calm in a difficult and stressful situation? Q. Have you ever had to deal with a difficult and aggressive person? If so, what did you do and why? Q. Please give us an example of when you have had to be flexible? Q. How would you deal with a drunken and abusive patient as a paramedic? The type of interview questions you will get asked and how to answer them. Key areas that you need to research in relation to the NHS trust. Actual paramedic interview questions and sample responses. Written by an expert in the field of paramedic recruitment who has actually passed the selection process himself. Areas which you have to study and research before you attend the interview. Researching the paramedic job description and person specification. How to match the essential and desirable criteria. Creating the right impression interview. Lots of sample paramedic interview questions and tips on what they are looking for.